Soon a Microsoft Dialer for Android!!! You are at:Home»News»Soon a Microsoft Dialer for Android!!! Microsoft’s multi-platform software plan has seen the IT giant roll out a wide array of new apps to Android and iOS in recent weeks. In the last few months, the company shifted all its attention to android which saw the launch of the send email-instant messaging app, a major Skype update and acquiring of the Echo Notification Lock screen developers. Now according to reports from reliable sources, Microsoft is working on another addition to its Android cabinet, a phone dialer app which is being tested in India. The dialer is the company’s attempt to enter markets that are bogged down by connectivity problems like unreliable and slow internet access. Microsoft Dialer for Android is a voice calling app that was developed by Microsoft’s Skype team, and it allows a user to make calls over slower internet connectivity networks like 2G and 3G.The app is reportedly able to be an alternative to the stock dialer app on most android phones, which means users can use it to make phones calls with minimal interruptions. The app does not have two or three good features that put it above the standard phone dialing features though. Apart from a user being able to browse his or her contacts, the app also allows you to search for contact information of nearby businesses, places of interest such as railway stations or museums and nearby people. 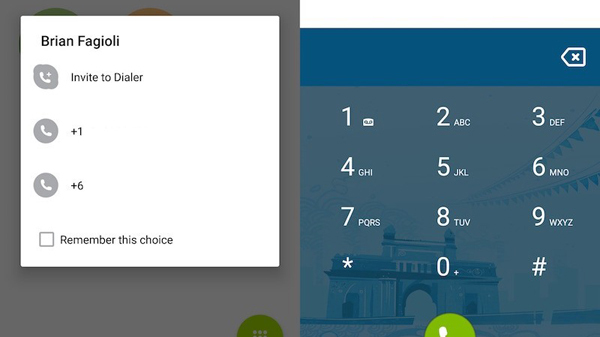 Other advance functions in the Microsoft Dialer for Android include; contact information look-up (including offices and other nearby places), Trucaller like functionalities (which means that when you receive a call from an unknown number, the app will pull data from all possible sources to help you identify who is calling),and a quick action button to blacklist spam calls. Microsoft Dialer for Android’s public beta is set to be launched in November with the official release set for the second week of December. Additionally a dialer for Windows phone (Windows 10 Mobile) is reportedly also set to be launched soon. How the app will synchronize with the upcoming updated Skype integration is still an open query. Next Article Eat Me!- Fun Game with Fishes! !